Now in its tenth year, Be the Good Guy Campaign is once again asking residents to report any build-ups of combustible waste in public spaces to help keep St Helens safe from anti-social behaviour, firework nuisance and the lighting of dangerous fires. 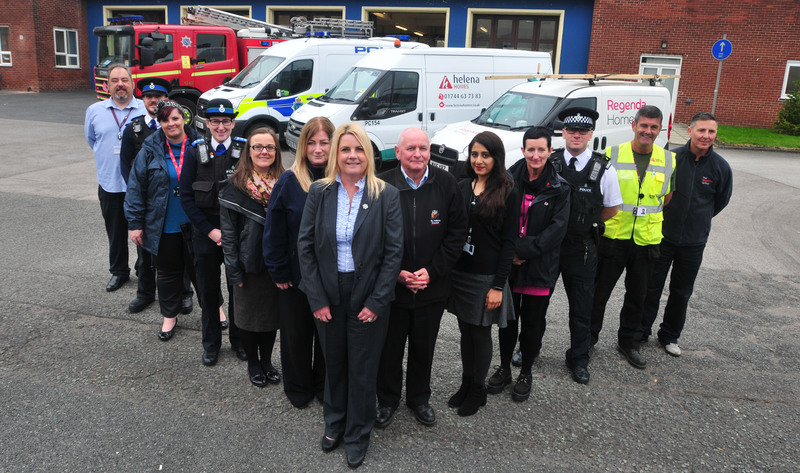 Community Safety partner agencies, including St Helens Council, Merseyside Fire & Rescue Service (MFRS), Merseyside Police, Helena Partnerships, Riverside Housing and others, will be working together to remove the source of unsafe nuisance fires from public land. All fires can be dangerous and unpredictable. Even a small build-up of waste once lit can easily spread, especially if lit close to nearby buildings, trees, fences and other flammable material. They also often fuel anti-social behaviour and fireworks misuse. St Helens Council’s Trading Standards team is also encouraging Good Guy retailers to limit their selling period of fireworks, to help cut down on noise pollution and fireworks misuse. Councillor Lisa Preston, St Helens Council’s Cabinet Member for Community Safety said: “No one is trying to be a killjoy. Although the majority of residents enjoy the bonfire festivities safely, there are a small minority who act anti-socially – throwing fireworks, causing nuisance and lighting dangerous fires in public spaces. Station Manager Paul Kay, Arson Reduction Coordinator for MFRS, said: “Our key message this year is stay safe and have fun. We want to drive down deliberate, anti-social, nuisance fires during the bonfire period but we need help from people in the community to do this. “Firefighters and our Prevention Team in St Helens are engaging with young people and youth groups in the area, delivering bonfire safety messages. The council’s free organised firework display takes place on Sunday 5 November at Sherdley Park and promises to be a truly spectacular night. To report any build-up of combustible waste and fly-tipping on public land, call the council’s contact centre on 01744 676789. Merseyside Fire & Rescue Service is also offering a phone number to report fly tipping, which is through Fire Service Direct on 0800 731 5958. Anti-social behaviour can be reported by calling Merseyside Police’s non-emergency on 101. Call 999 in an emergency, or if a crime is happening.